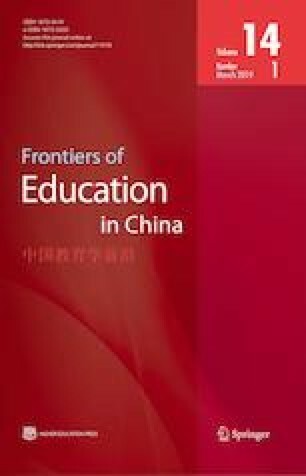 This article explores the Chinese literature on Chinese higher educational leadership in order to contribute to the international literature generally and facilitate Chinese higher education leadership research in particular. The seven themes identified in this literature are: the president accountability system led by the Communist Party of China (CPC) party committee; leadership team construction in universities and colleges; the common characteristics of university presidents in China; the accomplishments of university presidents; the relationship between university development and presidents’ accomplishments the selection mechanism for university presidents; and the professionalization of governance and the professionalism of university presidents. Future research directions are also discussed in order to contribute the research in this area. Hamlin, R. G., & Patel, T. (2015). Perceived managerial and leadership effectiveness within higher education in France. Studies in Higher Education, 1–23. doi: https://doi.org/10.1080/03075079.2015.1045480.